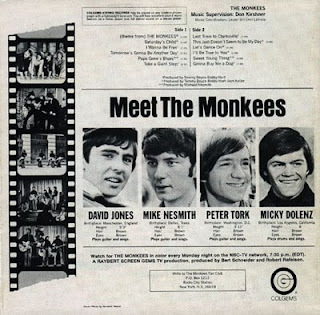 were on the talent roster: The Monkees. them for the first time nearly 43 years ago on our home hi-fi sets. 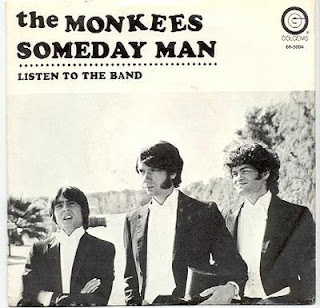 most of us went with the mono release, especially of this album. missing in these remastered tracks. was put out in 1966.
mono version I just described? 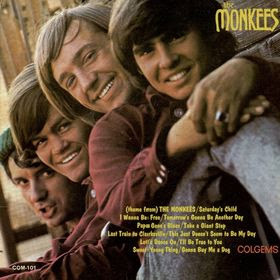 The entire unreleased Monkees Greatest Hits LP that I described a few days ago has been posted at http://launch.groups.yahoo.com/group/albumania/, and I have tried to follow the guidelines for the album, that all tracks are in stereo. The tracks came from various sources, so the sound quality might vary from track to track. This is not one of my monthly Colgems uploads, because the album never came out on Colgems, but it is filled with tracks, some, but not all, of which came out on Colgems in stereo. 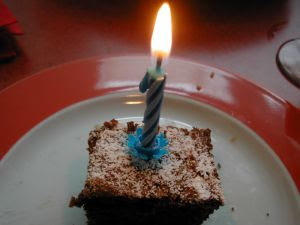 What's Next At the Colgems Blog? 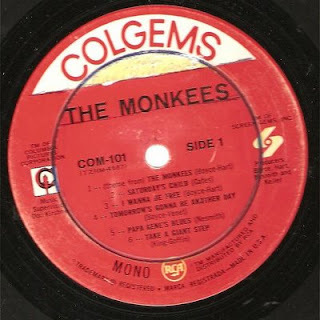 Over the past many months, I have uploaded every Colgems album (less the Monkees) and single that was released from 1966-1971. Although that phase of this blog is over, there is a lot more Colgems material to release that has not found its way onto legitimate CDs. How can that be, you ask. Well, give it some thought before you answer; the clue is within the blog itself. If you can't figure it out, in 13 days from today (April 2) it will become apparent. And no, this is not a late April Fool's Day joke.